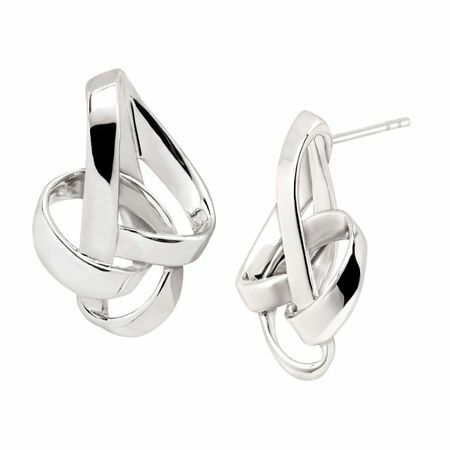 A seamless ribbon of polished sterling silver is all these pieces need to take your style to the next level! Earrings measure 1 by 5/8 inches and feature posts with friction-backs. Pieces come with “.925” sterling silver quality stamps as symbols of guaranteed product quality.